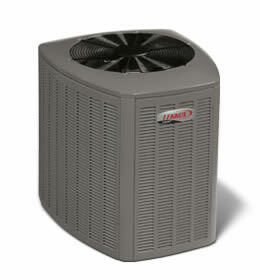 Lennox has been developing reliable, innovative heating and cooling systems since 1895. We’ve all seen their ads featuring Dave Lennox with a moustache, cap and overalls. Today Lennox’ focus remains on creating HVAC products and systems that help businesses reduce their operating costs while maintaining a high level of comfort. 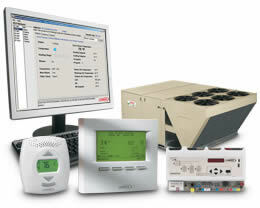 HVAC equipment is an investment, and Lennox can help get the most out of every dollar you spend. Lennox has consolidated a wide range of products with the most inclusive set of business services available in the industry. Lennox can help protect your bottom line with a comprehensive portfolio of energy-efficient, high-performance HVAC systems that meet the needs of customers, employees and clients. 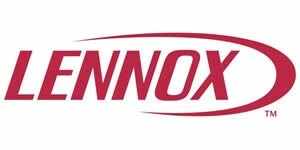 Lennox® products deliver the highest energy-efficiency levels and lowest total cost of ownership in the market. 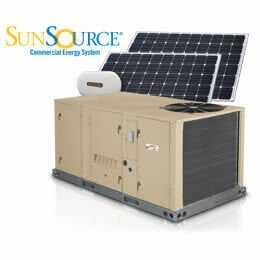 Lennox’ Energence® and Strategos® rooftop units can significantly reduce ownership costs and maintenance expenses. The high efficiency levels of these products can also help buildings meet the criteria of the Leadership in Energy and Environmental Design (LEED) & (USGBC) Green Building Ratings System™. Lennox’ Continuous ComfortSM planned replacement program was specially designed to address HVAC equipment that was installed in the mid- to late 1990s. Nearing the end of their service life, these units also were developed prior to significant advances in efficiency technology. New HVAC equipment can lower energy costs by up to 40% and eliminate near term repair costs. For detailed information on putting the Continuous Comfort planned replacement program to work for you, please contact Select Mechanical.